For general questions please visit our Tips & FAQ'S page or our Travel Information page. For items left on board please fill out our Lost & Found form. For general questions on reservations/bookings, please visit our Manage Travel page. For help making a new booking, make changes to a current reservation, confirm a ticket or make a schedule change, please call 801-401-9000. For general questions regarding baggage including, requirements/costs of carry-on and checked bags or if you have a damaged/lost bag question please visit our Bags page. For bags left on board please fill out our Lost & Found form or for delayed bags please fill out our Delayed Baggage form. 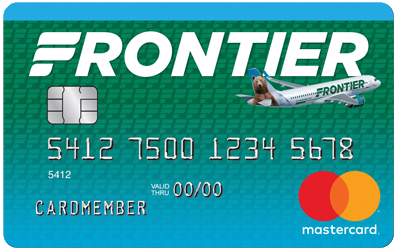 For general questions regarding our FRONTIER Miles program please visit our Frequent Flyer page. Did you know you can request past flight credit online? If you would like to add miles from a trip that was completed in the last 180 days, log into your myFrontier account on flyfrontier.com. Once you’ve logged in, select “My Profile” option and then click the “Retro Accrual” link. Enter in the requested confirmation code and your miles have been added to your account! Please keep in mind, travel older than 180 days is not eligible for mileage credit. Did you follow this process and not receive credit? Please fill out our Request Mileage Credit form. To provide compliments, feedback, concerns or request before/after disability travel please fill out our Feedback form. For cancelled flights please visit our Travel Policies page or fill out our Refund form. To cancel or change your trip due to unexpected life events, view our Emergency Events. For new reservations, changes to existing reservations, flight information, and general travel questions. 24 hours a day, 7 days a week. Please note: A reservation fee of $10 may apply for booking over the phone. For more details see: Optional Services. Call Us: 801-401-9000 *Say "feedback and concerns"
We're sorry to hear your bag was delayed getting to you. Please fill out the delayed baggage form so we may assist you. The Frontier Airlines Human Resources department does not accept solicitation phone calls or emails. We're sorry to hear you lost an item or left something behind. Learn how we can assist in trying to locate it. Only for working members of the media to contact Frontier's Corporate Communications Department. Trip Insurance refunds can be requested via Frontier@TravelGuard.com. *Frontier's Trip Insurance is sold by TravelGuard who will assist with any policy questions.